Every year around this time we review and plan our crop insurance needs for the March 15th deadline. It’s important to know and understand how history, trends and other factors can influence the planning process. Here are a few of the top questions and concerns you may be asking as you prepare for 2013. What will the drought with the high number of payouts do to my premiums? How will the Farm Bill and Government affect insurance? By January 1st the bill was already intact so no changes are expected. In fact expect it to be intact until 2014. Trends follow three peaks: Spring, Summer and Fall. 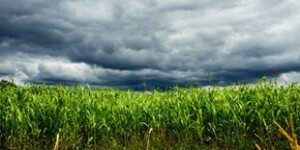 “Crop year 2013 is like 2012 on steroids” says Deb with Water Street Solutions (LINK). “No two years are alike, even if you have the same weather, you will not get the same results (agronomically speaking).” What influences markets? You will need to decide how many bushels you are willing to invest, to insure your entire crop. When we are going into a higher commodity price in the Spring, we recommend higher coverage. We would welcome the opportunity to sit with you individually and base your coverage on your specific farm and your needs. Don’t forget the deadline is March 15th so give us a call today at 320-523-2252 and we can help you get the protection you need for your peace of mind.